Helvellyn Cottages are located at 1 and 2 Low Rake Glenridding. They were built in the mid to late 1860s to house workers at the Greenside Lead Mine which was located at the head of the valley along the bridlepath (where the Helvellyn Youth Hostel now is). 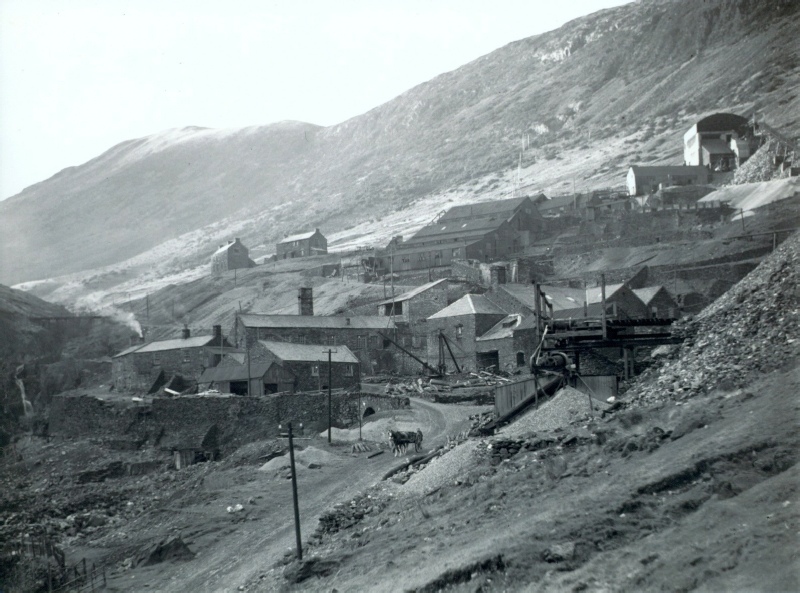 In its day Greenside was the most productive mine in the whole of the Lake District. It first began production in 1838 and attracted workers from Cornwall and the North-East. It finally closed in 1961. During its lifetime 400,000 tons of lead and 7.5 million ounces of silver were extracted from the mine, as well as some zinc and a tiny amount of gold. The mine also housed a prisoner of war camp in the Second World War. A copy of the photo at the bottom of this page hangs in each of the cottages. Originally the cottages would have had three bedrooms upstairs, with no bathroom. Downstairs there would have been a front room and back parlour, where the kitchen now is, with the utility room serving as the kitchen. The stairs were blocked in, with a small cupboard under them. In 1871 cottage 1 housed an amazing 11 people - William Nelson, his wife, 8 children, and 29 year old Joseph Shaw, a miner who was lodging with them (somewhere!). The cottages at Low Rake were the first to be built and then in the 1870s Middle Rake was added and finally High Rake in the 1880s. By 1881 The Nelson family was still living in Number 1, although now there were only 9 of them. Ten years later they were back to 10 living there. Life would have been hard, and the boys from the families started working at the mine from the age of around 13. By 1901 some of the Nelson family had grown up and left home and so Thomas and his wife moved to Number 4. At this point, Annie Brown and her family moved into Number 1. Annie’s husband Richard had worked at the mine and had died in 1895. Her son Richard broke with family tradition and after leaving school he joined the police force. 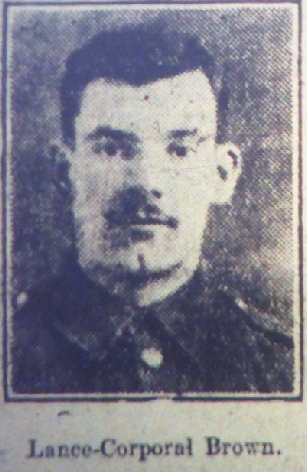 He served with distinction in the military foot police during the First World War and won the military medal. 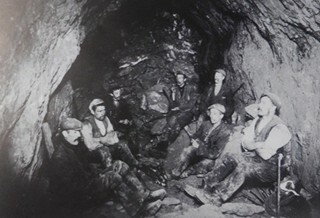 His younger brother William continued to live in 1 Low Rake with his family and it was still in the Brown family when the mine closed in the 1960s. Richard’s great-nephew still lives in Glenridding. The outside of the cottages have not changed much since they were built and lived in by the likes of the Browns. The stone sink used for washing by all the cottages in the terrace is still there in the alley at the back, and the outside privy is still in the sheds at the back (although no longer functioning!). The sheds in what is now the garden for Cottage 1 were originally used as coal sheds, and the field opposite number 4 was originally divided into allotments used by each of the cottages. We purchased the cottages in 2005. As part of the World War One Commemorations we have been involved in researching the lives of the men who fought, and in some cases died, in the war, as well as looking at life in the Dale at that time. For more information on this please visit the Ullswater Memorial Website. If you would like to book or would like more information on the cottages please contact us. For more information on Greenside Mine please see Ian Tyler’s book “Greenside – A Tale of Lakeland Miners” .